A long time ago in a galaxy far, far away……..
Well, Germany. But it was a long time ago! 1883, to be exact. Joseph Hubertus Pilates was born in Monchengladbach, a city in North Rhine-Westphalia, Germany. He began life as a sufferer of asthma and other minor illnesses. This led him to nurture a strong will to exercise and stay healthy as he grew older. He was also a keen reader and became fascinated with the Greek ideology of a man being balanced in mind, body and spirit. Using this concept, he began developing his very own exercise regime.As a young adult, Joseph had become quite the athlete. He travelled to England where he landed himself a job as a self-defence instructor at Scotland Yard. Joe began to refine his ideas and took to training others in the ways of this pioneering exercise. During the war he customised hospital beds which enabled bedridden patients to exercise against resistance, an innovation that later led to his equipment designs. When an influenza epidemic struck England in 1918, thousands of people died. But not a single one of Joe’s trainees fell ill. This, in his eyes, was a testimony to the effectiveness of his regime. Over time, Joseph’s exercise programme became particularly popular amongst dancers and performers and by the 1960’s, after emigrating to America, he had built a large following, many of whom were professional ballerinas. Popularity grew in New York, where he was living, and gradually the popularity permeated through many states until it was known the nation over. Joe’s students then started teaching Pilates in their own studios with Joe himself helping to get their businesses off the ground. These first few proteges became known as ‘The Elders’. 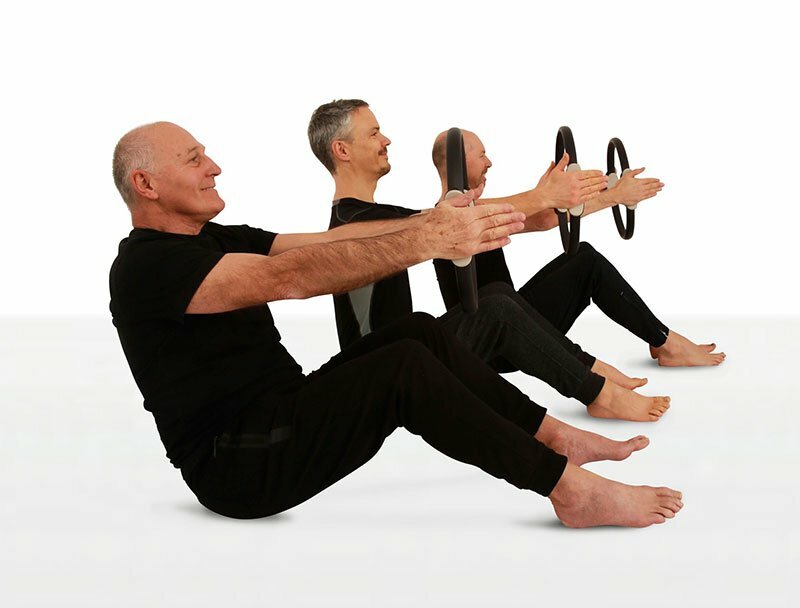 One of The Elders was a man called Ron Fletcher who took the regime cross country to Los Angeles where he recruited a number of Hollywood stars – elevating Pilates’ popularity within the higher echelons of the exclusive world of the rich and famous. With the help of Ron Fletcher’s studio in Beverly Hills, Pilates remained an exercise for the elite throughout the 70’s and 80’s. When the media caught wind and gave the exercise some coverage, people took notice. Now, 30 years later, Pilates is a mainstream form of physical exercise. Favoured by Olympic athletes and sports stars across the globe, it is widely recognised as one of the most beneficial workouts for maintaining a healthy lifestyle.